Wondering what the Dodd-Frank reward program is and how it works? This Q&A will address the most commonly asked questions whistleblowers have about the Dodd-Frank program. What is the Dodd-Frank Reward Program? 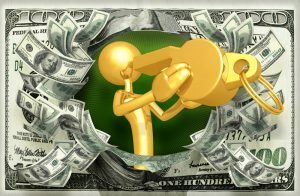 The Dodd-Frank reward program pays whistleblowers who report securities violations to the United States Securities and Exchange Commission (SEC) that result in the SEC collecting more than $1 million from an SEC-regulated company. The Dodd-Frank’s whistleblower program was included as part of the SEC’s “post-Madoff reforms.” The whistleblower program is part of the Dodd-Frank Act that was enacted in July 2010. How Does the Dodd-Frank Reward Program Work? Whistleblowers submit information and/or evidence to the SEC relating to securities violations connected to SEC-regulated companies. The SEC will examine the information and evidence submitted and make a determination as to whether to pursue an investigation into the company in question. In making this determination, the SEC will often request an interview with the whistleblower in an attempt to better evaluate the credibility of the information being provided. If the SEC decides to pursue the whistleblower’s information and the case later resolves for more than $1 million, then the qualifying whistleblower is eligible for a reward ranging from 10% to 30% of the total amount collected by the U.S. government. To date, the SEC has paid out more than $150 million to international and American whistleblowers. Are Dodd-Frank Submissions Treated Confidentially by the SEC? Yes, the SEC treats the whistleblower’s information and evidence in a highly confidential manner and protects the whistleblower’s identity to the fullest extent of the law. This confidential program also allows whistleblowers to submit their information anonymously through counsel. If someone wants more information about filing anonymously under the Dodd-Frank reward program, please click here. Does Dodd-Frank Protect Employees from Retaliation? Yes, Dodd-Frank prohibits companies from retaliating against employees who file Dodd-Frank whistleblower submissions with the SEC. If a company does retaliate against a Dodd-Frank whistleblower, then the SEC has the authority to pursue this as a separate violation. In addition to the SEC taking action against the company, the whistleblower also may file suit directly against the company for any retaliation suffered as a result of filing a Dodd-Frank whistleblower submission. Companies also cannot take any steps to prevent whistleblowers from participating in the Dodd-Frank reward program. The SEC has made clear that companies cannot use broad confidentiality and nondisclosure provisions in employment and severance agreements to prevent Dodd-Frank whistleblowers from disclosing confidential information and documents to the SEC and cannot prevent employees from obtaining rewards from the program. Dodd-Frank whistleblowers also can file their reward cases directly with the SEC and do not have to report internally to their companies. If anyone has questions relating to the Dodd-Frank reward program, please feel free to email me at arickman@rickmanlegal.com. I am happy to provide a free consultation to anyone who has questions as to whether his or her information is reward eligible. 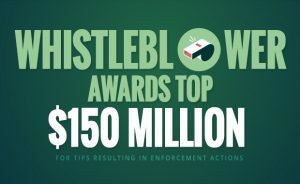 For more information and details about how the reward program applies to FCPA whistleblowers, please click here. Andy Rickman is a Dodd-Frank whistleblower attorney who has filed FCPA reward submissions for international clients residing in more than 50 different countries. He is based in Washington, DC where Dodd-Frank reward submissions are filed and the SEC is headquartered. Mr. Rickman offers a free consultation to anyone who would like to discuss whether he or she has a Dodd-Frank reward eligible case. Please feel free to contact him at arickman@rickmanlegal.com.